As consumers flock to banking apps, succeeding in the world of digital banking is not as easy as it used to be when mobile apps emerged a decade ago. In the new Digital Banking Tracker™, PYMNTS examines how startups are competing with legacy brands, social media services and even eCommerce companies that want to add financial capabilities to their platforms. One market in which banking is heating up is China, where three of the country’s biggest companies — Ant Financial, Tencent and telecom service giant Xiaomi — are seeking digital banking licenses in Hong Kong. These firms will look to capitalize on their already-massive user bases as they add banking components to their digital platforms, all while competing with the country’s traditional banks. China isn’t the only nation where consumers have their pick of banking options, though. In Nigeria, lending app Carbon is completing its transition to a full-scale bank, albeit a digital-only option. Similar to Ant Financial and Xiaomi, Carbon will build on its preexisting customer base to successfully stand against legacy FIs in the region. However, legacy banks across the globe have been far from idle when it comes to digital and mobile innovation. Standard Chartered has launched its own fully digital bank as a way to stand out from the crowd: Standard Chartered Mobile will provide users with the full functionality of a traditional institution, minus the hassles associated with visiting a branch. In the decade since Apple launched its first-ever iPhone, banks have evolved their approach to mobile banking. However, consumers are still searching for something easy to use, even with the added functionality t hey’ve come to expect. That’s why JPMorgan Chase is keeping its mobile banking strategy simple, Jason Alexander, head of digital platforms for the bank, told PYMNTS in a recent interview. “When we start thinking about mobile now, we have to really understand the customer, what they’re trying to do, how to make a broad set of functionality available to people in what’s still a relatively small form factor and [user interface],” Alexander said. 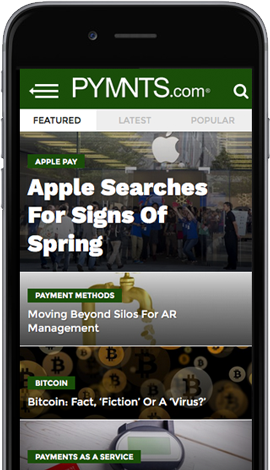 For more on Chase’s mobile banking strategy, visit the Tracker’s feature story. With customers beset by banks attempting to woo them to their mobile apps, both legacy and challenger banks are developing new features and tools to help them gain an edge over the competition. While there may not be a silver bullet when it comes to customer retention, legacy banks are using their established resources and brand recognition to great effect in app innovation. Challengers, meanwhile, are relying on their mobile-first, mobile-only business strategies and user-friendly designs to pull customers away from traditional banks. So, how are digital challengers competing against legacy-backed digital banks? Read the Tracker’s Deep Dive to find out. The Digital Banking Tracker™, done in collaboration with Feedzai, brings the latest news, research and expert commentary from the FinTech and consumer banking space. It also includes a provider directory featuring the rankings of more than 250 companies serving or powering the digital banking sector.